The fashionable Ticwatch E has everything you want at a low price, but compromises on battery life and screen performance. Fashion brands have been releasing more and more hybrid smartwatches than ever before, adding connectivity to a stylish, traditional-looking watch. Hybrids are often released at a more competitive price than touchscreen smartwatches, and they’re even made by some brands with excellent watchmaking credentials. Is there still a reason to buy a full touchscreen watch? The Ticwatch E from Mobvoi runs Google’s Wear OS with features hybrids don’t offer, at a compelling price of just $160. That’s half the price of most touchscreen smartwatches, with the added bonus of a heart rate sensor and built-in GPS, which is rare to see in a watch at this price. Does that mean corners have been cut elsewhere? We’ve been wearing the Ticwatch E for a week to find out. 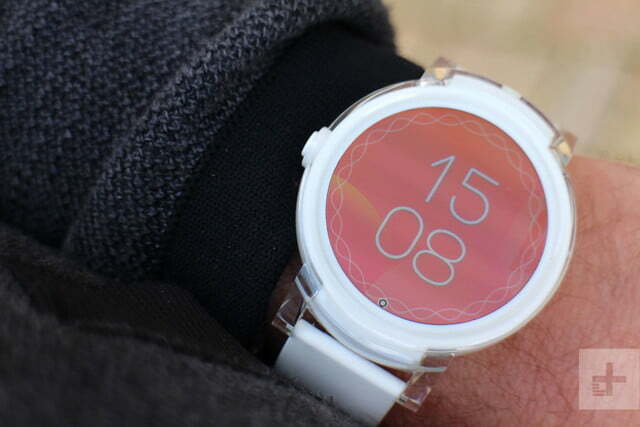 The allure of a hybrid is that it doesn’t look like a smartwatch. 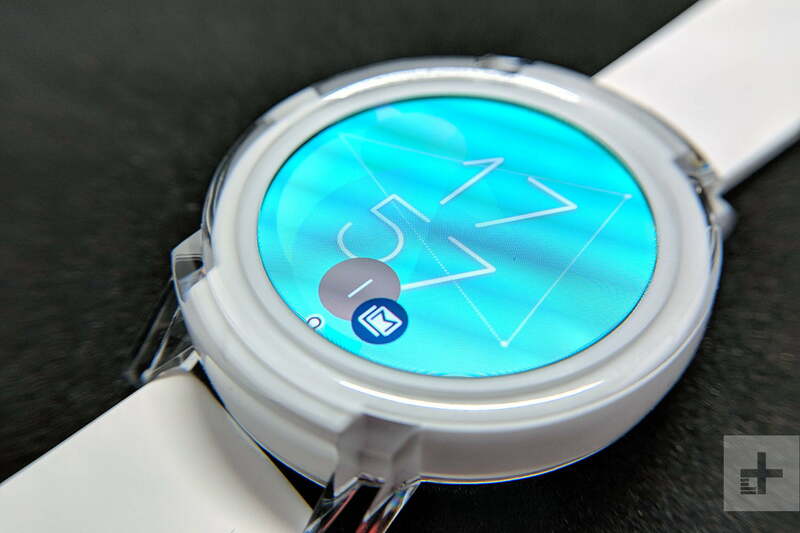 The Ticwatch E doesn’t hide its smartwatch status in the slightest. 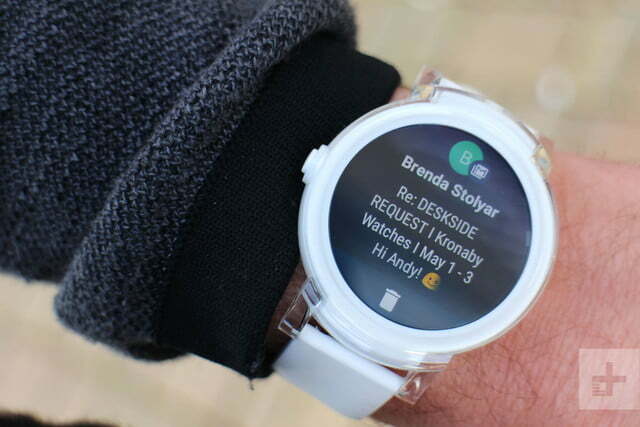 The 44mm body is round and chunky with a 1.4-inch, 400 x 400 pixel touchscreen. 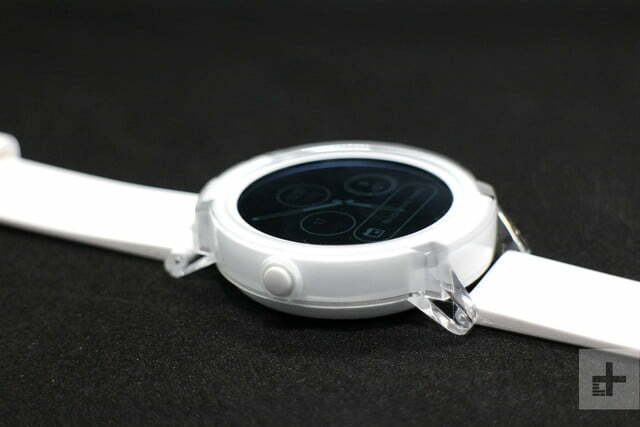 We’re using the Ticwatch E Ice specifically, characterized by a white body with a clear polycarbonate outer skin, and a super soft white silicone strap. The strap is reminiscent of Apple’s Sport band for the Apple Watch, resisting sweat and remaining comfortable throughout the day. Unusually, Ticwatch has made the E a “lefty,” in that the crown is on the left hand side of the body. This is rare in the world of watches, but it does make the button easier to push, and stops it digging into your wrist. 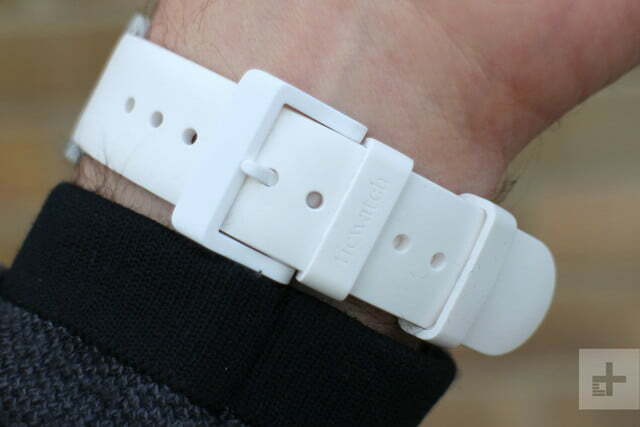 Underneath the body is a heart rate sensor, and on the top edge is the ambient light sensor. The Ticwatch E is very simply designed, and reminds us of a Swatch watch — originally made as a second watch — right down to being available in several bright colors. 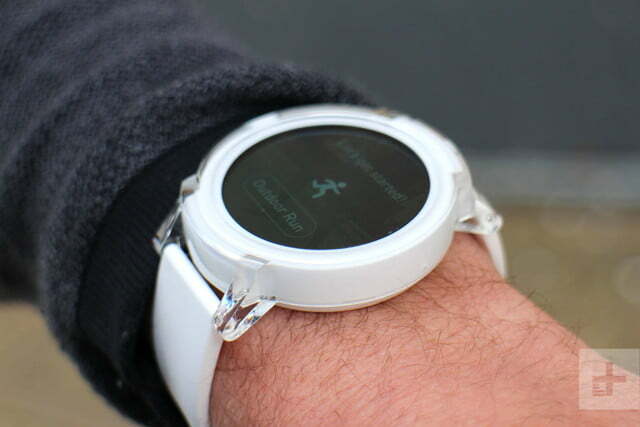 The Ticwatch E doesn’t hide its smartwatch status in the slightest. We’re torn on the Ticwatch E. It’s completely made of plastic, right down to the crown and the clasp, and it looks cheap off the wrist. It’s much better on the wrist, and the transparent lugs on the Ice version almost visually disappear, giving the watch a sleeker look. They do feel a little delicate, and we worry they’d break in the event of a hefty hit. 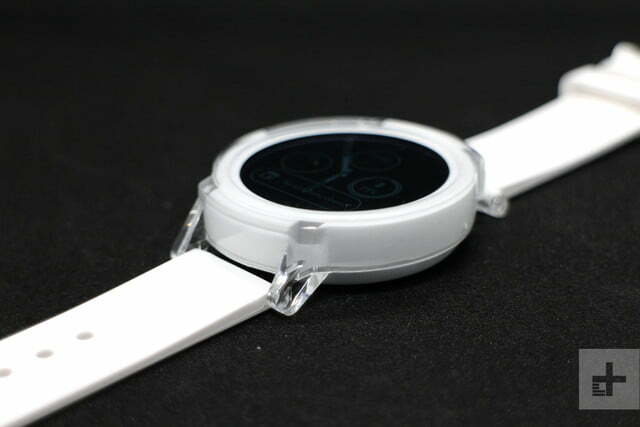 The screen is slightly recessed in the body, and the sides are a little sharp, which is why the Ticwatch E feels cheap when swiping across the screen. 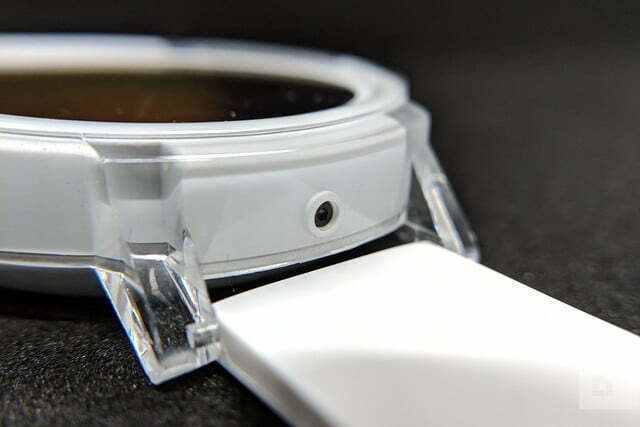 A chamfered metal screen edge, or a rounded plastic one, would make using the watch more pleasurable. If you’re coming from an average-priced traditional watch, or any current hybrid, the Ticwatch E will feel like a toy. 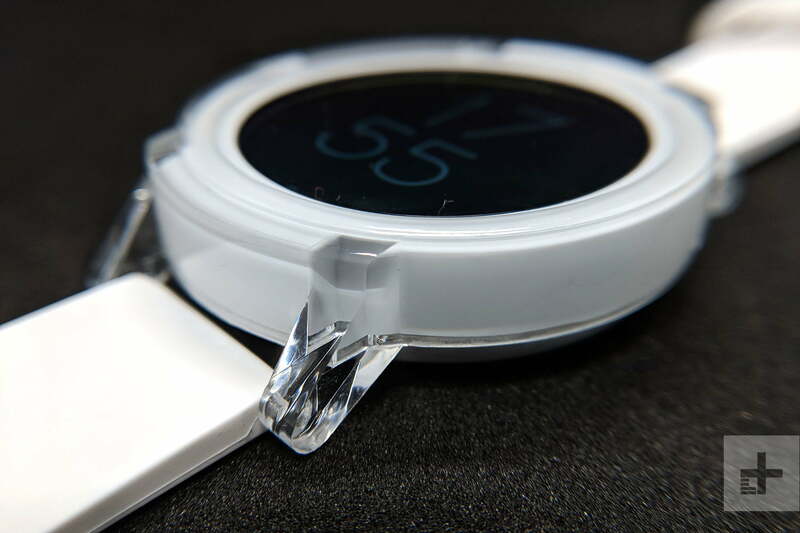 The design is definitely more suited to match with casual or sportswear, and it will likely appeal to first-time smartwatch (or watches in general) buyers. That said, it’s a great example of unisex design, and will suit both large and small wrists. 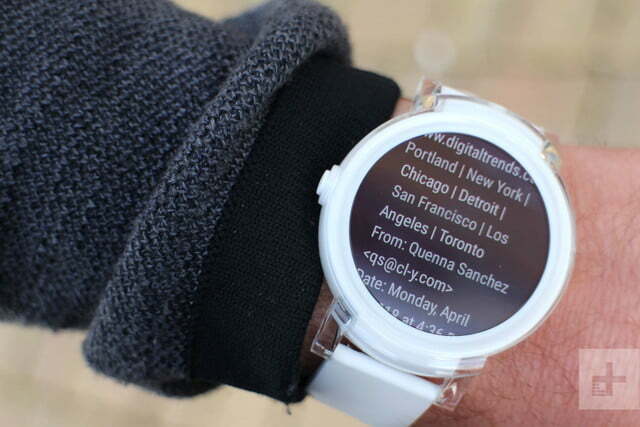 A watch isn’t just a tool for telling the time or for delivering notifications. It’s just as much a piece of jewelry, and is often worn proudly. The Ticwatch E isn’t the type of watch we’d wear with a suit, or when we want to look smart. But it actually looks great wearing it to the gym, or with casual clothes. You may want to try a Ticwatch E in person to see if the design fits your personal style before buying one — they’re available at Best Buy stores nationwide. The 1.4-inch screen is completely circular, and it packs a high resolution. It’s suitably bright indoors, but it suffers outdoors, especially in direct sunlight — you may need to crank the brightness up to max. 48 hours of battery life is the biggest work of fiction since Dan Brown last put pen to paper. The software is quick to respond when swiping through menus, and the watch doesn’t make Wear OS frustrating to use. Wear OS is more or less the same on every smartwatch that runs it, and the Ticwatch E only has a selection of watch faces as well as a fitness app to separate it from the crowd. 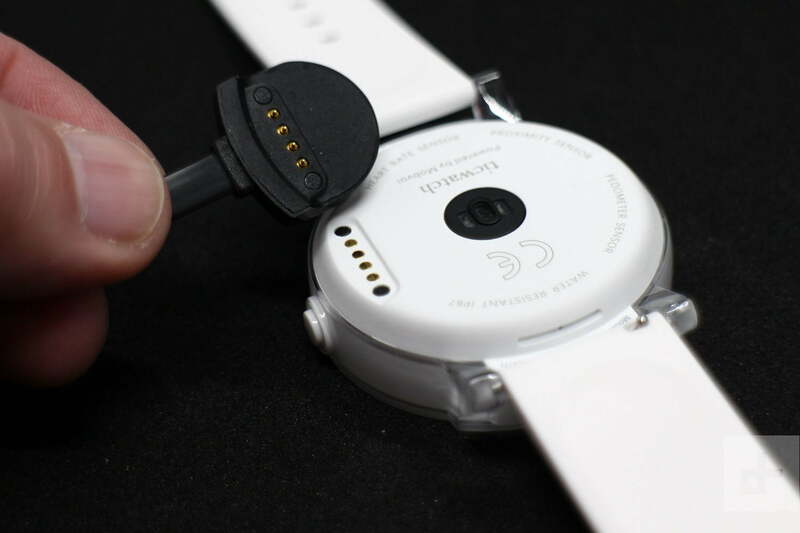 This isn’t a bad thing, as it makes the watch simple to operate. But Wear OS is still leagues behind Apple’s WatchOS, particularly with notifications, which just show up in a long, slow list. You sync music playback with Google Play Music, and it takes ages to download playlists for offline use. Still, Google Play Music on Wear OS is better than ever before, with a shuffle mode and easy access to individual tracks. Spotify has a basic Wear OS app, but it’s more a controller for the app on your phone, and doesn’t work on its own. It’s representative of Wear OS apps in general. They’re afterthoughts, and aren’t worth using regularly. 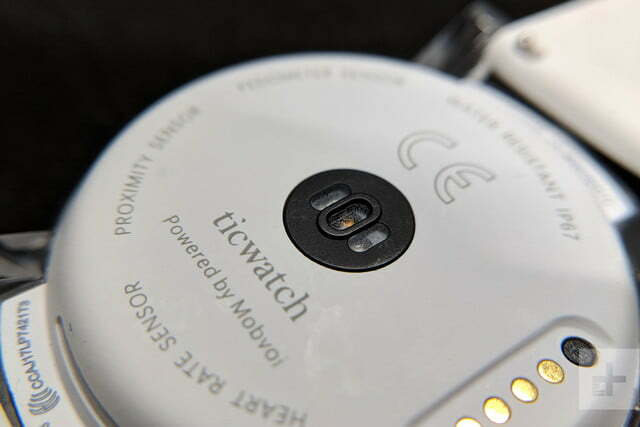 Ticwatch has its own app, which you install on your connected phone to access the fitness features of the watch. Repeated unsuccessful attempts to register using an email address resulted in frustration, and eventually forced us to use either a Google or Facebook login. Once setup, the app provides workout programs and fitness-tracking data. The app on the phone stores this data, but doesn’t provide any feedback or advice. It does have a big, ridiculous banner ad leading you to Ticwatch’s website though, and we consider the whole thing completely superfluous. 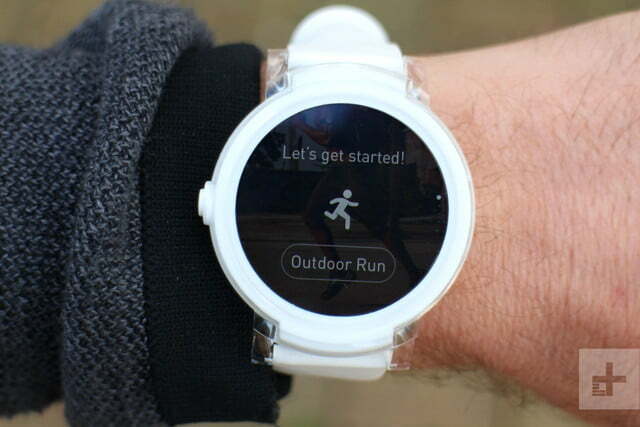 Alternatively, you can just use Google Fit. 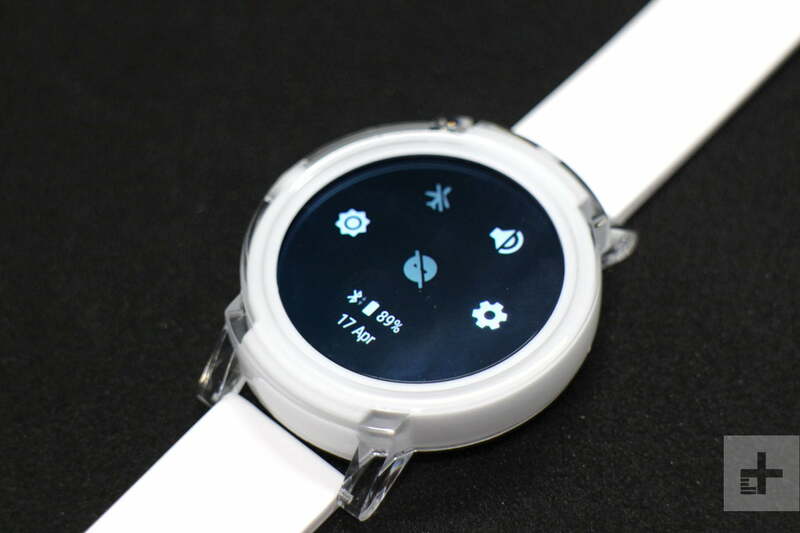 The Ticwatch E uses MediaTek’s wearable technology platform, rather than a Qualcomm or Intel processor, which is a major factor in Mobvoi’s ability to sell the Ticwatch E cheaply. The good news is it pushes Wear OS along smoothly, and moderately quickly. The moderate speed is more to do with the operating system, than the chip, in our opinion. It also happily ran all the apps we installed on the watch too, despite having only 512MB of RAM. There’s 4GB of internal storage space, which is what we used to store Google Play Music playlists, which played without a problem over Bluetooth headphones. 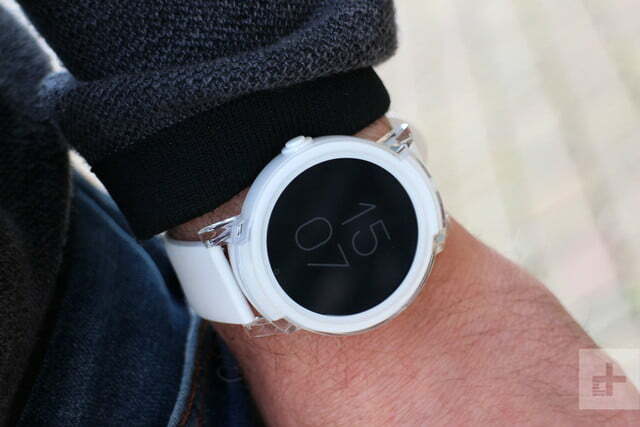 Mobvoi doesn’t reveal the size of the Ticwatch’s battery on its website, only that it will last for 48 hours. Having lived with the Ticwatch E for a couple of weeks, we assume the battery is miniscule, because the 48 hour battery life claim is the biggest work of fiction since Dan Brown last put pen to paper. An average working day of around 12 hours was the best our model could do, and that’s without using the built-in GPS. It’s also erratic. We turned the watch on at midday with about 70 percent battery left, and it ran out of juice around 6 p.m. — all it did was deal with notifications. Streaming Bluetooth music and tracking activity at the gym, with the heart rate sensor, ate 30 percent battery in less than an hour. 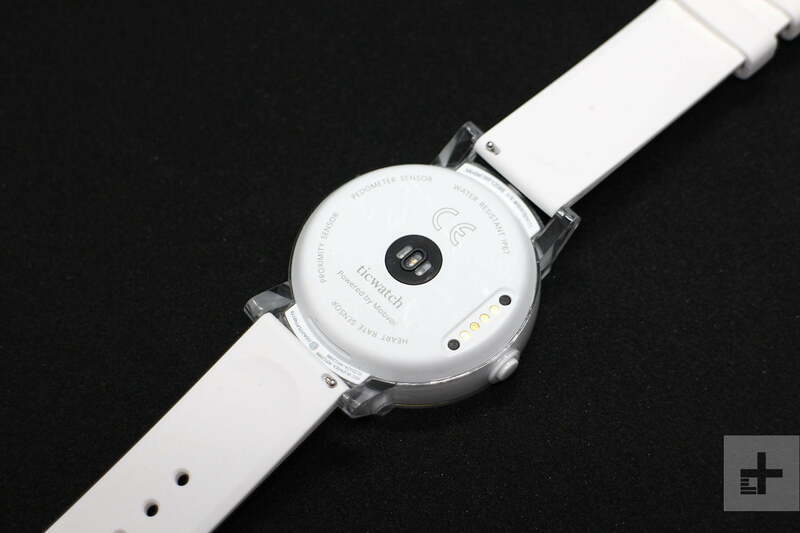 You’ll charge the Ticwatch E everyday, without fail. 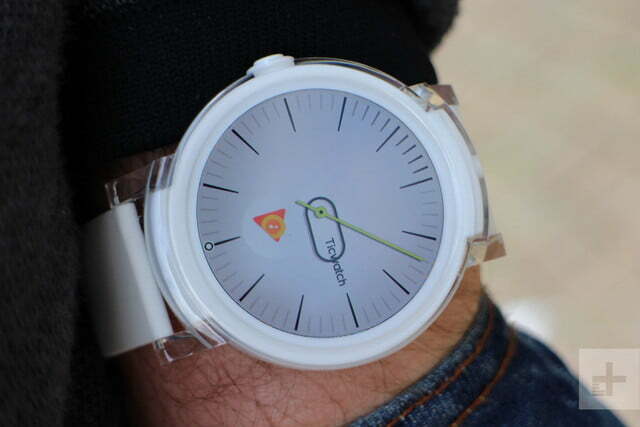 The Ticwatch E is far from perfect, but Mobvoi knows this, which is why the watch is priced accordingly. It’s just $160, and that makes it around half the price of many big name Wear OS smartwatches. We’ll return to the Swatch comparison here. It’s a fashion device. We don’t really expect it to last forever, or to look great with everything we wear, but it doesn’t break the bank. It’s easy to buy. You can order the Ticwatch E through Ticwatch’s own website, and through Amazon and Best Buy in the U.S., Europe, and the U.K. 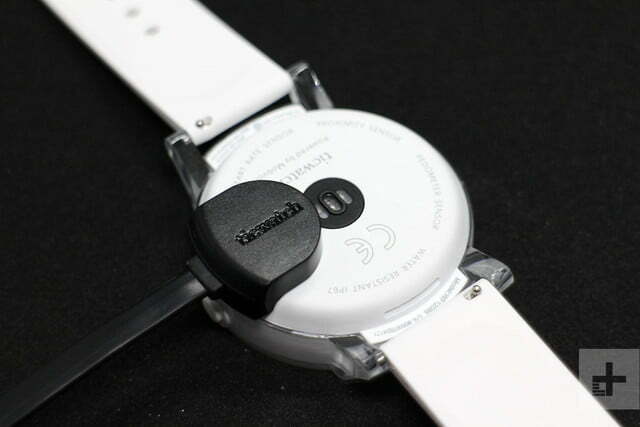 It comes with a one year warranty, where broken watches will be repaired or replaced. It doesn’t cover the battery or accidental damage. 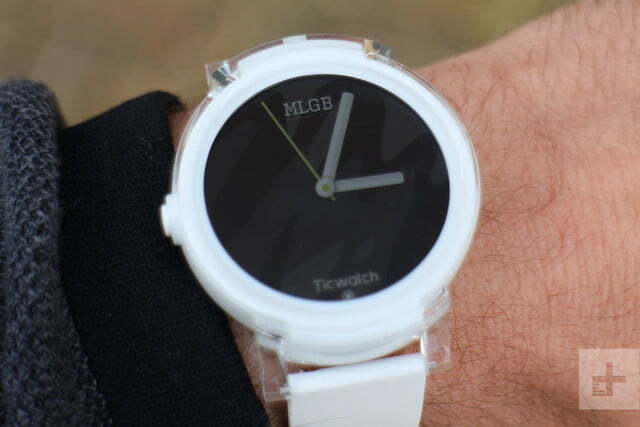 The Ticwatch E aims to be the Swatch of the smartwatch world. Fashionable, colorful, and reasonably priced; but it won’t go with everything you wear. For the price, the feature list is excellent, but you’ll compromise on battery life and screen performance by spending so little compared to other smartwatches. If you’re set on owning a touchscreen smartwatch, at this price, the alternatives are few and far between. The Ticwatch S is a step up in functionality and style for $200, and there is the Misfit Vapor also for $200, which comes with a heart-rate sensor as well. Otherwise, our favourite touchscreen smartwatch specifically for Android — the Samsung Gear Sport — costs $300 and up. But according to Google’s data on Wear OS users, there’s a good chance you own an iPhone. In which case, our recommendation is to buy an Apple Watch, which costs more but looks a lot better, has excellent build quality, and a wealth of features. Apple’s Watch OS software is also superior to Google’s Wear OS. If money is tight, get a Series 1 Apple Watch for $250, or wait for a Series 3 to arrive in Apple’s refurbished store and save a few bucks. If you just want a smartwatch, and aren’t really bothered about a touchscreen, then there are many hybrid watches out there at around the same price and higher. Just remember features like GPS and a heart rate sensor won’t be part of the package. We love the Mondaine Smart Helvetica, and the Kronaby Apex, among many others. The Ticwatch E has an IP67 water resistance rating, so it’ll survive a shower on a rainy day, but not if you take it swimming. The body is plastic, and the lugs don’t look all that shock resistant, making us worry about scratches gathering over time. We’re not so sure how often Mobvoi will issue software updates, but the Ticwatch E did receive two minor updates during our time with it, mostly related to the branding switch from Android Wear to Wear OS. Also remember the battery inside has a finite life, and that will ultimately dictate how long the watch remains useful. 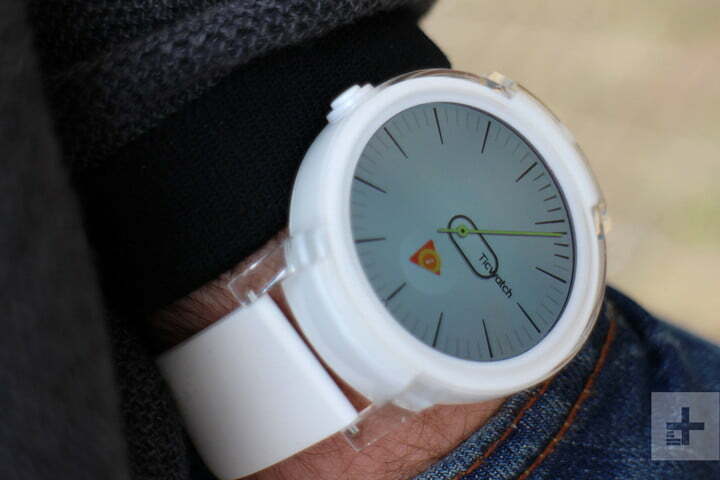 We’d have no concerns over using the Ticwatch E for at least two years, unless it gets damaged in the meantime. No, not unless your budget really can’t stretch to a slightly more expensive smartwatch. Spending a little more on a Series 1 Apple Watch elevates style and functionality greatly, and is well worth saving for if it’s not immediately in your budget. The Ticwatch E’s poor battery life and disappointing screen ruin the ownership experience, to the point where you know you’ve compromised by spending the least amount possible. It’s by no means a bad product, you just can do a lot better for not a lot more money.